The amazing story of Jon Sarkin, a man who suffers a near fatal brain injury but over the following years becomes an obsessive and successful artist. He was not an artist beforehand, he was a chiropractor. His wife stands by him the whole way, and it must have been very, very difficult for her, but she stands by him, has two more children with him and is so grateful for her husband despite how damaged and changed he is after the injury. So inspirational. A perfect book to read going into Rosh Hashana. To me, this book shouts out the existence of God and the miracle of life. I really am in awe of both Kim and Jon Sarkin, but I guess because I am a woman and a wife, I see Kim as a role model in dealing with adversity. Lots of tears for me with this one. Oh, and take a look at Jon Sarkin's art. WOW!! Amazing that this man was not an artist beforehand, and that this is what he accomplishes after his injuries!! Would it have killed them to include just one sample of his art? Just one? Geez. I got tired of and beaten down by the author's overuse of similes to explain what she was trying to express. Way too many sentences followed this format: "Jon's brain was like [blah blah blah]" or "Jon's search for himself was like [blah blah blah]" or "Jon saw the world like it was [blah blah blah]. "I also was rolling my eyes every time the author made a reference to the "self" or the "soul." The science was interesting, but only up to a point. In my opinion, for a significant portion of the second half of the book, the author left Sarkin behind. I also thought she sort of time traveled in her narrative, for no apparent reason. One chapter might be about 2009; the next about events in 2005. And, finally, I thought she rather suddenly dropped the storyline about his brother's death after suggesting it had some significance. It wasn't my favorite book, but I would recommend it to others. I personally not very interested in brain science so if you like brain science this is the perfect book for you. Fascinating. Nutt strikes a really delicate balance between telling the story of Jon Sarkin and his family after his devastating stroke, and the still developing science of how our brain functions and affects our sense of self. Sarkin's story is amazing--he was a chiropractor, married with a young son, but after his stroke developed a compulsion and a talent to create art. Other aspects of his personality changed drastically also-- most importantly, his ability to relate to and care for his family. The author follows him on his journey to make peace with his new self. However, she also takes the incredibly complex science of the study of the brain from its earliest days to today and explains it in terms that anyone can understand and relate to. As I said, absolutely fascinating.Note that although, the book jacket states that Nutt was a Pulitzer finalist for her 2009 newspaper account of Jon Sarkin, in fact, she just won the Pulitzer for her 2010 story about the sinking of a scallop boat off of Cape May, NJ. She's in an amazingly talented researcher and writer. Can't wait until she writes more. Well, this book was breathtaking. I snatched it from a pile of books and dove in and couldn't put it down. After I finished it at 2 a.m., I turned to the jacket to find out who this incredible author is: she is a Pulitzer finalist. What a writer! This book was a study of a man, Jon Sarkin, whose life was radically altered after he experienced a stroke. His story is the backdrop for a tour through historical ideas about how the brain functions and about current understandings and research into brain function and notions of what constitutes 'the self.' Sarkin developed a prodigious art ability and a compulsive drive to create--both art and in writing, and interestingly, is able to visit another man who has experienced the same type of compulsion years after they both developed the dramatic changes. This is a fantastic book! This book traces the real-life story of a (still-living) man, Jon Sarkin, whose life is dramatically changed by a freakish medical event in his head, and then further and forever changed by complications from the surgery he went through in a bid to get his normal life back. At the same time, the book takes the reader through the brain, the history of neuroscience and how the various parts of the brain work, and then takes us back into the story of this man and what he (and his family) must grapple with. The book goes back-and-forth throughout, so that we gain an exquisite view into the human brain while we trace Sarkin's story. There isn't resolution per se, but it's inspiring and humbling to see the strength of human spirit and intelligence and need to connect, even in the face of unthinkable trauma. I read this book for biology for a book report summary I had to complete. Even though I was not really intrigued by the book, it was a really good story in general with Jon Sarkin going from having a brain issue and almost dying, to one of the best artists ever. This is the story of a male chiropractor who experienced a strange mental "shift" one day while playing golf--a small blood vessel in his head slightly shifted and began to press on a nerve, causing him to have a very severe case of tinnitus (noise in the ears), which the man himself described as sounding like "a thousand screaming baboons." It was exhausting and stressful to the point where he submitted to a risky brain surgery. While the surgery stopped the tinnitus, after surgery he had a stroke and sustained some permanent damage to the left hemisphere of his brain.The most poignant parts describe his wife's grief over the changes in her husband. She and he had been delightfully happy together and starting a family--yet after this occurred, it was no longer safe for her to leave her husband alone with their child because he couldn't stay focused enough to keep the child from danger--even though he loved the child very much. Though her husband was still with her physically, his personality and mental processes changed profoundly.It was interesting to read Nutt's account of how the man shaped a new life for himself, and how he is able to work by supporting himself with his art--a newfound interest (obsession, really) since the brain damage. Interspersed through are chapters that cover brain science and research, and some discussion of other cases of life after a brain injury. People who enjoy personal memoirs, psychology and science will probably like reading this book. A fascinating read. This is the story of Jon Sarkin, an amazing artist who cannot stop painting. At age 35, he suffered from tinnitus (acquired after the relatively benign act of bending over to pick up a golf ball which resulted in a blood vessel exerting pressure on his auditory nerve in the brain). After a subsequent operation to relieve the condition, he experienced a stroke. The ensuing operation removed parts of his brain to stop the bleeding. As a result, his brain 're-wired' giving him a condition in which he is obsessed by drawing. 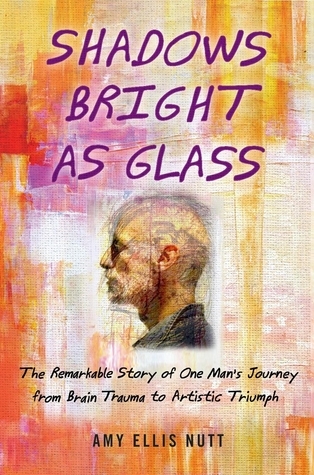 He has adapted to become an award-winning artist of note.The author follows the progress of Mr. Sarkin's recovery and life adaptations, and also explores the areas of brain injury and brain abnormalities.This book is a reminder that I am blessed to be normal, and that we can all be a breath away from tragedy. Very interesting read. This is a nonfiction account of Jon Sarkin's reinvention of self, after experiencing a stroke followed by brain surgery. In addition to Jon's remarkable story, the book presents a general history of Neurology and its current advances. The book also addresses the question concerning from where one's "identity" comes. What makes you, YOU? The brain is truly fascinating, yet we know so little about it.In Jon's story, he is a calm and disciplined medical doctor who suddenly becomes an impulsive, obsessive artist following a stroke. What makes Jon's story unique is, he remembers his former self and seems to maintain his intellect. But, he is no longer the Jon Sarkin who existed before the stroke. I found myself to be more interested in the science and stories about how and what has been learned about the brain than I did about the subject at hand. By the end, I was skipping past everything about Sarkin to get to the science behind it. The same parts of his story were repeated over and over, but just using different words to describe it. Boring.And as another stated, why wouldn't they include a sample of his artwork??? I mean, come on. It's like buying a cookbook that didn't have ingredients listed in there. This book was absolutely fascinating. Easy to read, with a compelling mix of historical anecdotes and scientific research, Amy Nutt explores and explains many of the mysteries of the brain. What happens when parts of our brains stop functioning the way they should? Where in our mental activity is our sense of self located? Is the brain a separate thing from the mind? Nutt doesn't always have the answers, but she uses the story of John Sarkin to challenge herself and her readers to explore the questions. I was disappointed by this book. I felt there was a disconnect between the history of neuroscience and Sarkin's story. They could have been two separate books and been far more interesting. Plus I found the shift in tone between the history chapters and those of his life distracting. For the Sarkin bits, the language seemed overly flowery. I don't feel that this book did his life or his art justice. I also can't fathom why photos of his artwork were not included within the text. Fascinating information and research findings about the brain. I love this quote from E.O. Wilson about the evolution of imagination: "Art whether painted or written or song, is a story, a kind of virtual reality that we can try on, but by imaginatively practicing can use to greatly shorten an otherwise dangerously long learning curve. There was not enough time for human heredity to cope with the vastness of new contingent possibilities revealed by high intelligence." This is true and fascinating. If you are the kind of person who read, "Brain Surgery for Children" you will love this book. It is both the story of Jon Sarkin's life altering stroke and a history of brain surgery. Particularly chilling was the paragraph about an early brain explorer who was feeling around in a comatose patient's brain when suddenly the patient yells out, "Leave my soul alone." Fascinating to follow Sarkin from before to after. Hats off to his wife and family. I'm glad I read it. Some parts a little technical, but Amy Nutt had a great way of breaking medical language down for the larger audience. I found it extremely irritating that none of Sarkin's art was included in the book. Not even the jacket cover. Come on!Recommend. I found this book engaging and interesting to read. If you are at all interested in how our brains function after a catastrophic injury, I recommend this book. Even if you aren't interested in the brain you should find this book interesting. It is well written and has a host of information in it that most reader's should find interesting. Good Book, I recommend it to everyone!!! 4.5 stars. A nice trip down neuroscience memory lane. A good overview of the history of neuroscience, with some philosophy/discussion about where consciousness lies/where is the SELF. SO interesting to think that one could remember their 'former self' after a traumatic brain injury, but yet not be able to access that self/those behaviors again. Quite good, very accessible (Nutt's a newspaper writer, so that makes sense). Great information and a well-told story, though written omnisciently, which was curious for one with a brain injury. The only thing that could have made the book better would have been pictures or a link to some of Sarkin's artwork. As said, very well done! Excellent examination of the human mind through the real life before and after look at John Sarkin, interspaced with other research, other cases (for comparative method), and recordings of changes in the mind throughout history. Lot of depth in a very short framing. Definitely worth the read. Really fascinating story with themes veering from brain function and development to artistic process to mind-body dualism. If you like science and philosophy and a good story, you'll like this book. Powerful account of Jon Sorkin before and after a stroke . . really two complete books here - his personal journey, and the science and art of brain function. Meh. The events upto and during the medical event were the best part. After that it was aimless in its efforts to relate the complexity of the brain with the strange results upon injury to it. The book tells the story of one man's experience of surviving a brain injury and includes a lot of recent discoveries about how the brain works, as well as other case histories. Interesting book--though not the best out there on brain function. It starts to lose steam toward the end. I read this book for my science class. I would recommend if you like stories where the main character perseveres through a tough obstacle. Good insight into how all the parts of the brain come together to form someone's personality, whether whole or missing some pieces. Great for the elegant details of brain surgery and a journey of adaptation. Amy Ellis Nutt - Amy Ellis Nutt won the Pulitzer Prize in 2011 for her feature series “The Wreck of the Lady Mary,” about the 2009 sinking of a fishing boat off the New Jersey coast. She is a health and science writer at The Washington Post, the author of Shadows Bright as Glass, and the co-author of the New York Times bestseller The Teenage Brain. She was a Nieman Fellow in Journalism at Harvard University, a Ferris Professor of Journalism at Princeton, and an instructor of journalism at the Columbia University Graduate School of Journalism. She lives in Washington, D.C.